This was a customised tour and Ljuba's research and efforts were exemplary. A highlight of the tour was Ljuba's efforts for a visit to the museum at Petschek Palace - totally memorable and unforgettable. Another highlight was a visit to The Memorial of National Oppression and Resistance at Panenske Brezany. Also memorable was Ljuba's efforts for us to visit Heydrich's former residence - now occupied by a private company. Ljuba also gave us a lot of information in between site visits. Highly recommended. This was our second day spent with Ljuba and once again it was a very interesting and informative experience. Ljuba did a wonderful job explaining life in the camp and made it very meaningful. I will never forget lighting a candle for those who died in Terezin while my son read the poem I Never Saw Another Butterfly which was written by a young girl in the camp. Seeing the barracks was extremely powerful. Thanks Ljuba! Ljuba is a wonderful and very interesting guide! She made the Jewish Quarter and synagogues come to life with her storytelling and vast knowledge. We especially liked when she showed us where her 88 year old father sits when he attends services. It made our tour much more personal. The Jewish cemetery was very interesting as well and it was fascinating when she explained the different layers below ground. We look forward to continuing learning from Luba when we tour Terezin tomorrow. Ljuba is a wonderful tour guide. She made our tour very comfortable and informative. Her knowledge and preparation was superb. Nothing was missed. We were a group of 5 and Ljuba and our driver Val kept us safe and happy all day. I will recommend urgency to anyone visiting Prague. Thank you. A great tour guide with a lot of knowledge about the tour she is giving. Very enjoyable experience!! TOUR GUIDE RESPONSE: Thank you for the lovely review! I very much enjoyed providing these tours for you. Very knowledgeable and very accomadating!! Gives a very enjoyable tour and takes care of her travelers in her tour group. Very knowledgeable and flexible to our desired agenda. Ljuba gave us an excellent tour. She was very knowledgeable about Terezin and It's history. She gave us a lot of information that wasn't available on the English descriptions of places we saw. The driver she used was also excellent, it was a smooth and safe ride. We thoroughly enjoyed this tour, and came away birth educated and sobered by the stories of what the Jewish people and political prisoners faced. TOUR GUIDE RESPONSE: Thank you Merrilee for your very kind review! Ljuba gave us an outstanding experience and deep understanding of the Jewish history of Prague, as well as several other highlights of the city. She very wisely had us start early enough to completely miss the crowds and have plenty of time to take in the beautiful synagogues. Her knowledge is well versed and sprinkled with humor, a story to highlight, and frank explanations. We learned so much, enjoyed the experience and would highly recommend her as a excellent guide! Ljuba was on time, precise and organized. Although we were all just off the overnight flight, and a bit jet-lagged, we were highly impressed with her knowledge and ability to provide excellent information and answers to our (foggy) questions. She picked just the right amount of sights, and places for us to take in the phenomenal beauty of Prague, get a feel for the culture and history, etc., without overwhelming us. Highly recommend! We spent a very interesting and informative half day with Ljuba, covering many of the main sites in Prague. It was greatly helped by the fact that she was able to drive us to a number of different locations, as well as showing us a number of areas from her vehicle. Her English was excellent and she clearly knew her way around the city. Thoroughly recommended!! TOUR GUIDE RESPONSE: Thank you John for your review! I thoroughly enjoyed being your guide for the half day tour of Prague! I hope to be able to give you any tours or assistance in Prague if you are ever here again. Ljuba was fabulous -- very knowledgeable, kind and funny! She knew the highlights and took us to see sites we didn't even know to ask to see. She was also a great photographer -- making sure we have great memories of our day with her. You will not be disappointed! TOUR GUIDE RESPONSE: Thank you Gerald for the wonderful (and generous) review of my tour and my photography! I hope to be able to help you again in future with any tours or questions about Prague. I thoroughly enjoyed being your guide. Our tour was booked online at the very last minute.... and I'm so glad I did. Ljuba was an excellent guide. She was punctual and professional and knows her city very well. She suggested meeting early to avoid tourist crowds and we got to see the changing of the guards at the Palace without the crowds. She was friendly and funny and very helpful taking photographs, stopping for loo breaks and showing us Prague in half a day which we would have never managed ourselves. Thank you Ljuba!! It was a pleasure. TOUR GUIDE RESPONSE: Thank you Anissa for you wonderfully kind review! I very much enjoyed being your guide for the day. Ljuba was just fabulous. She went the extra mile, really listened to our interests and tailored the tour to us. She was incredibly knowledgeable after so many years of doing this. She is also very fit and took us to places you needed to walk and climb a bit - that was our interest but I know she would be flexible and incorporate any input. She is also extremely charming and fun and friendly, recommended wonderful restaurants for lunches and dinners, and made sure we were securely on the boat. Five stars! Luba was great! We learned so much and had a full day. I wouldn't say visiting Terezin was fun but it was an experience we are really glad we had - especially with her guidance and knowledge. Highly recommend this tour and Luba! I booked a bespoke Walking Tour of Prague for a corporate activity during a 3 day conference with several different nationalities attending. Luba was excellent in adapting to our group size and timing requirements and it was all agreed before I needed to confirm. She provided headphones/speakers and we went at our own pace. She was very flexible, very fluent in English and very knowledgeable of Prague and its history. We did the Full Day - Prague General Overview & Jewish Quarter with Ljuba. She was full of information about her city as she picked us up at our hotel and took us to the Charles Bridge before the crowds arrived. We then walked the Jewish quarter before driving to the Castle where we spend about 2.5 hrs including a lunch break. We the drove the city, seeing the inside of the cafe at the Municipal House before ending at Old Square and the astronomical clock. A fun day, we would use Ljuba again. What a fantastic day. Ljuba was an excellent guide of the highest order. She entertained us all day with information and stories and took us to her special places which was so value adding. Ross was a wonderful driver, the van was brand new and super comfortable and his safe driving meant we all had a little nap without worrying about the journey. Our local guide was lovely and easy to understand. No negative experiences at all. Completed the Full Day General Prague Tour with Ljuba. She is a phenomenal tour guide with a wealth of knowledge and experience. Our hotel pick-up was prompt with a spacious van that easily accommodated our group of five. Every expectation was met in a professional manner and Ljuba made certain that our interests were woven into the tour itinerary. The period between the morning and afternoon segments gave pause for a relaxing and enjoyable lunch at an authentic Czech restaurant. Ljuba was an incredibly knowledgeable tour guide. She took our family of four to visit the Terezin concentration camp. Despite it being a very intense day, we left saying that it was our favorite experience in Prague because of her indepth information and allowing us to really take part in the tour. She is well versed in all history and took the time at the end to drop us off at the Castle and explain the history of that too. Would highly recommend her! Excellent tour, we learned a lot due to her vast knowledge. We recommended this tour. Thanks Luba we had a great time. On our second day with Ljuba, we toured Cesky Krumlov, a must. It is a beautiful medieval town and the local guide Ljuba selected was just as wonderful as Ljuba. Ljuba arranged this beautiful dinner river tour on one of the smaller boats. It's worth the extra money. It should not be missed. Ljuba was a wonderful guide. She has a through understanding of Jewish and European history. She is friendly and has a good sense of humor. She explained things many times so that our two teenage granddaughters would understand. She thoroughly enjoys sharing her knowledge and presenting her beautiful city and other treasures of the Czech Republic. We booked this tour late the night before. Ljuba was kind enough to accommodate us. I was traveling with my 81 year old mother, so this tour was perfect for us. We were picked up at our hotel and taken to the castle. Thanks to Ljuba, the day ran like clockwork. She knew exactly where to go and how to avoid the crowds and the lines. She was extremely informative and very entertaining. We all enjoyed ourselves. I highly recommend this tour, it is worth the money. Ljuba is excellent!!! Ljuba was a terrific tour guide. Very knowledgable and efficient. She was assertive in the right way at the site locations to ensure that we saw the most important sites from the right vantage points. We enjoyed our time with her on the tour. This tour was one of contrasts - including the sober history of Terezin concentration camp with its Jewish memorials and collection of haunting children's art combined with a tour and wine tasting at historic Chateau Melnik on the banks of the Elbe and Moldau Rivers. We also visited a medieval ossuary in the local Melnik Church and visited the spot where the Nazi Leader Reinhard Heydrich was assassinated during WWII by Czech resistance fighters. It was a riveting day outside Prague. Well worth it! 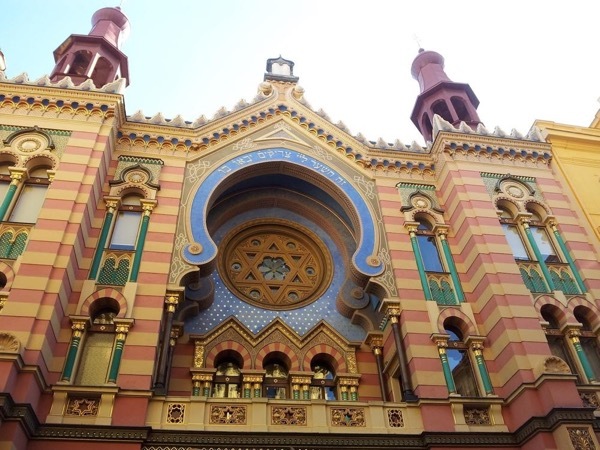 The Prague Jewish Quarter tour with Ljuba gave us a much more in depth look at the history - social, literary and historic - of Prague than just doing a general tour. My traveling companion and I agreed that it was a tour we would recommend to anyone - Jewish or not - visiting the city for the first time. We picked Ljuba because of her obvious love and passion for this part of the Prague's past. It was the right decision and we had an intense several hours with her walking through the Jewish Ghetto. We were eight days in Prague and surrounds and we did the half day tour the second day of our trip. Ljuba gave us a superb intro to the city where we would be spending the next week, noting the essential spots to revisit after our time with her. She is "up" on the history and stories that make Prague such a divine destination for a few days. We loved hearing about Prague from someone who obviously loves the city so much. We are so lucky to have found Ljuba and hired her for a personal tour of Prague's Jewish Quarter. She has an Ocean of knowledge and shares personal stories to bring the Jewish history to life. We had more than enough time to get acquainted with each Synagogue and learn its historical significance and see the beautiful artifacts. We highly recommend Ljuba and thank her for a wonderful tour. Ljuba is fantastic! She was super prepared for everything! She had materials in the van for us to review and provided excellent commentary on the trip to and from Terezin. She saw that one of our party had some mobility issues and arranged for her to have lift access in the museum and made arrangements for a wheelchair and a tour guide who could push it at the small camp. She is knowledgeable, as well as, very passionate and open about the Jewish experience during WWII which made our visit very special. TOUR GUIDE RESPONSE: I am very glad that you enjoyed the tour! You were a pleasure to guide around, and I would love for you to come back again some day! Ljuba was FANTASTIC. She was knowledgable, pleasant, wonderful and exciting to spend our tour with. I highly recommend Ljuba Thank you for adding such a terrific experience to Prague. TOUR GUIDE RESPONSE: Thank you for the nice review! I'm so happy that you enjoyed your tour with me, as I enjoyed touring you! I look forward to hopefully seeing you again some day in Prague. My husband and I spent 3 days in Prague in April. Our stay in Prague was greatly enhanced as we were fortunate to have a fabulous guide - Ljuba P. She is a delight and possesses encyclopedic knowledge of the city! She brought the history of the city to life by conveying it in an interesting and enthusiastic way. I wish I could give Ljuba 10 stars because she deserves every one! What a treat having Ljuba as a guide!!! She was one of the most expensive, but all her positive reviews were true and worth the extra money. Because of our short time in Prague, we asked her to combine two 1/2 day tours into one very long day! We did The Terezin concentration camp as well as a private guide to the Jewish quarter in Prague. We felt like she was a friend sharing stories and educating us at the same time!! Highly recommend!!! TOUR GUIDE RESPONSE: It's so nice hear that you enjoyed your tour with me! I really had a nice time with you and I am always happy to accommodate clients as they wish. Ljuba could not have been more wonderful. She was full of information and her personality was so delightful. We could not have been more pleased. Ljuba was outstanding in every regard! We had a fantastic day with Ljuba. Her English is fantastic, her knowledge of Jewish History and of Prague is extensive and her wit delightful. Our group of 4 thoroughly enjoyed our full day with her. We highly recommend Ljuba, she is a wonderful tour guide and made our time in Prague enjoyable and meaningful. See comments to April 9 tour. We did two tours with Ljuba. On the plus side, she was very knowledgeable and the logistics she arranged for both tours were excellent. On the negative side, her communication skills left much to be desired. She was very robotic; she repeated everything three times or more--so much that we said something; she didn't listen; and she talked non stop. We cancelled the third tour because we could not imagine spending a third day with her. TOUR GUIDE RESPONSE: Thank you for your comments. I truly value any constructive feedback I receive so I am able to continuously improve and innovate to enhance everyone's experience. Many locations have a deep history and require me to go into more detail so that the content can be better grasped. So, I always endeavor to provide everyone present with all of the information. Sadly, from time to time this means certain things are repeated but I do this for your benefit. Ljuba was a terrific guide. She is thoroughly knowledgeable and we had a great tour. She customized the tour based on what we wanted to see and experience. I would recommend her to anyone wanting private tour of Prague. One of the best Jewish Quarter tours I've ever taken. Extremely knowledgeable and personable. Great tour guide. Very knowledgeable. Covered a lot of ground. We had the most incredible day touring with Ljuba. Her knowledge of what happened in Terezin helped us get a true picture of what occurred there. Her tour was extensive and we felt we saw everything there was to see in order to understand the reality of what happened there. I would highly recommend her to anyone interested in this or any other of her tours in Prague. Excellent tour. She went out of her way to show me things I was interested in seeing. The tour was a highlight of my stay. Ljuba was fantastic. So knowledgeable and truly excited to show us her city. Even though the weather wasnt what we had hoped, we saw so much.. We could tell how much she loved what she did. It was an amazing day and I would very highly recommend taking a day trip with her. TOUR GUIDE RESPONSE: Thank you so much for your feedback Joy, I had a wonderful time being your guide here in Prague. Please visit again soon! TOUR GUIDE RESPONSE: Hello Elaine, Thank you for the positive feedback! Ljuba is an awesome guide and a wonderful person! She enhanced our experience and made our trip amazing!! She is very knowledgeable and also gave great explanations and made it interesting If you go to Prague be sure to look her up as your guide!!! Our guide for terezin was excellent She really was very informative and dealt with the subject matter in a very sensitive way I would recommend her very highly! I would give Ljuba the highest number for all categories. We spent our first day in Prague with her and it was evident from the start that she loved her country and city and wanted to share it with others. Her knowledge was encyclopedic and we covered many areas of the city in addition to going to the mall so I could buy a much needed rain jacket. It was a very memorable pleasant fun day! Ms Ljuba P. was a fabulous tour guide. Extremely knowledgable and charming to hear. Have recommended her to others for future trips to Prague. Tailored our tour to available time, weather, traffic and strenuous walking restrictions. TOUR GUIDE RESPONSE: Hello Donald, thank you very much for your review and your rating, my apologies for such a late response but I have only recently had a bit of time to sit down and relax a bit. I hope I will get to see you again if you come back to Prague! This was our second tour with Ljuba and she did a wonderful job on both. She is a true professional, unflappable and in charge. Made sure our tours were comfortable and adjusted the tours on the fly to ensure we saw everything we wanted to see. We highly recommend Ljuba! TOUR GUIDE RESPONSE: Thank you very much for the review Laura, I am happy you enjoyed your time! 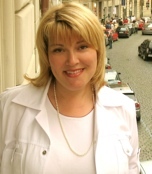 Ljuba is passionate about Prague and it shows! She did a great job of logistics, moulding the tour to fit our large group on the fly. Very impressed as any minor glitches didn't phase her, she was a true professional! She could talk incessantly about any topic. She was very engaging and we highly recommend her! Luba knows her stuff! She has made it her responsibility to really know,the subject of her tours and wants you to learn it as well. This what we were looking for! She is very customer service oriented and really goes the extra distance to make sure you are happy with your tour. Tour was great! My time period of history. Luba is very detailed in her presentation and gives you so much! The tour is very interesting, given the tragic events and time. Learned so much. Really felt Luba goes the extra distance for her customers. The tour was absolutely fantastic. Luna is extremely knowledgeable and personable. Showing us her father's seat in Old New Synagogue was a special treat. She made everything come alive. Ljuba was one of the best guides we have ever had. Her knowledge of Prague was encyclopedic and she conveyed it in a interesting and, sometimes, humorous way. I would highly recommend her as a guide. Ljuba is a very well informed guide. She kept us entertained with information for three hours and we felt that we had learnt a great deal at the end of the time. TOUR GUIDE RESPONSE: Dear Erica, Thank you for your kind words. I am glad that you enjoyed your tour with me, and got to experience this beautiful city and it's history. Please visit again soon. Warmest Regards, Luba. When I booked Luba for the tour I had thought that she would give us a very thorough and thoughtful tour. We were not disappointed. We learned so much. She was relaxing and friendly and made it easy for us to ask questions. The subject matter was emotionally difficult but she made the day a gift of information, personal stories, as well as her wonderful personality. Ljuba was extremely knowledgeable and gave us a thorough tour of the Jewish Quarter. She was clear in conveying important and interesting information, and very professional. We were a group of 4 including myself, my husband and my daughter and son, who are in their 20's. I think we all benefited from Ljuba's knowledge and expertise, making our visit that much richer. TOUR GUIDE RESPONSE: Dear Cahterine, Thank you very much for your kind words. I am happy you enjoyed your stay here in Prague. Please visit again soon!. Warmest Regards, Luba. A very knowledgeable guide who was very accommodating to our situation. TOUR GUIDE RESPONSE: Dear Tom, I would like to thank you for your feedback. I have now added my guiding before the tour as an option. Regarding your menu choice, it was the most expensive option, however less expensive options are available, for example the buffet for 50 USD per person. The Golden Menu option is a VIP package, with a 3 course menu, alcohol, as well as the best seating in the restaurant. I understood that you chose this option as it was your birthday. I hope you enjoyed the photographs and videos I have sent. Very good tour with Ljuba. Knowledgeable about the Jewish quarter. Best guide we had so far!!!!!!!!!! Luba is amazing!!!!! She is very knowledgeable and very passionate about what she does, she organized an amazing 2 days for us and met our expectations. This culinary tour was the best tour I have ever taken. Ljuba and the chef were comfortable to be with. They both spoke and understood English very well. Martin, our driver, was very good. He provided a good narrative of the countryside and tried (mostly in vain) to give us lessons in Czech pronunciation. It was a pleasant journey and we felt very safe as Martin drove very well. We started with the Moser crystal factory tour which was very interesting. The quality of their work and the history of the factory were amazing. Karlovy Vary city was very good. We had a nice stroll through town and lunched next to the river. We added in a tour to Pilsner to see the brewery and the tour was very worthwhile. We almost learned enought to become brewmasters. TOUR GUIDE RESPONSE: Dear Gary and party!Thank you very much for taking all tours with me!Hope to see you again one day!Regards to everyone! Cesky Krumlov was impressive. The Castle, and grounds, were everything we expected and and town was full of history and very well preserved. In addition, we got to see a good bit of the Czech countryside which all in our party enjoyed. TOUR GUIDE RESPONSE: Dear Gary, Thank you for the positive feedback, I enjoyed my time with you very much so. Warmest Regards, Luba. We substituted the Prague Jewish Quarter tour for a tour of Melnik Castle. On our way to the castle Ljuba stopped in the Jewish Quarter and gave us a mini tour and a nice explanation of the area. Melnik Castle was very nice. It's location over the juncture of 2 rivers was beautiful and we opted for a wine tasting in the Castle cellars. We were pleasantly surprised at the quality of the wines and the tasting was hosted by a wine expert from the Castle. Ljuba was very punctual and accommodating to our requests. The tour to Terezin was very good and it stirred our emotions after Ljuba's narratives and viewing the camp areas. The Prague Castle area was spectacular. Ljuba gave us a great tour and her knowledge of the city, and area, is impressive. She took us to an Abbey where we toured a most impressive library and viewed artifacts donated by visitors throughout many years. The library was very night on our list of the best of Prague. The driver was there promptly as we exited baggage claim, helped with our luggage and was driving a very comfortable van that accommodated us and our luggage. Ljuba was great! She adjusted the tour to accommodate our particular interests. She is very knowledgeable and professional, but with a good sense of humor. I highly recommend her! One of the best guides we have ever had. Extremely knowledgeable on every subject we broached. Very concerned with giving us full value for our tour. Used every minute efficiently. Can not say enough good things about Ljuba. Ljuba is a marvelous guide. She combines excellent knowledge with a great sense of humor and personality. I have already recommended her to others. TOUR GUIDE RESPONSE: Thank you very much!Keep in touch! The best Terrzin Tour. The local guide that was use for one part was especially good. TOUR GUIDE RESPONSE: Thank you for the kind words and the advice about Cornish Pasties! Ljuba is very knowledgeable and a terrific tour guide. What a fantastic guide and tour! Lubja is so very nice and accommodating. I had a last minute reservation and she made sure I learned and saw everything in this very memorable tour and city! It enriched my trip 10 fold and highly recommend her and her staff.